The Junior League of Greenwich is joining forces with Polpo Restaurant, Venanzi Suits, and Miller Motor Cars to support the Junior League of Greenwich’s community impact programs. This four-day event will run from June 20 – 23, 2016, each night from 5-7pm. 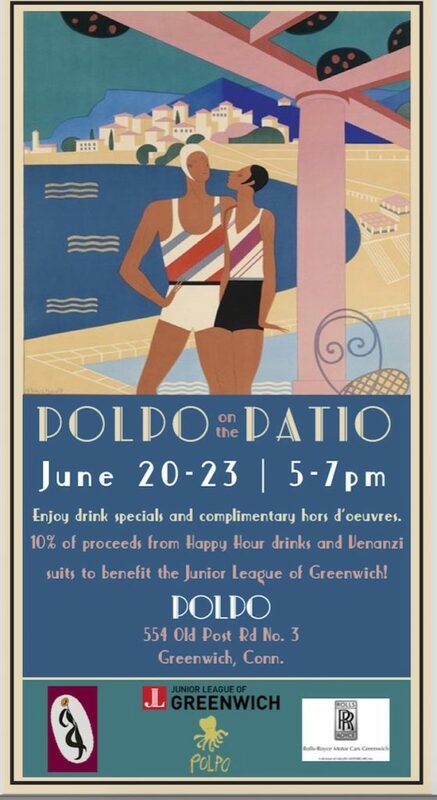 Activities at Polpo Restaurant, in collaboration with Venanzi Suits and Miller Motor Cars, will provide funding to the Junior League of Greenwich. A gracious 10% of all sales during this time period will be donated to the Junior League.